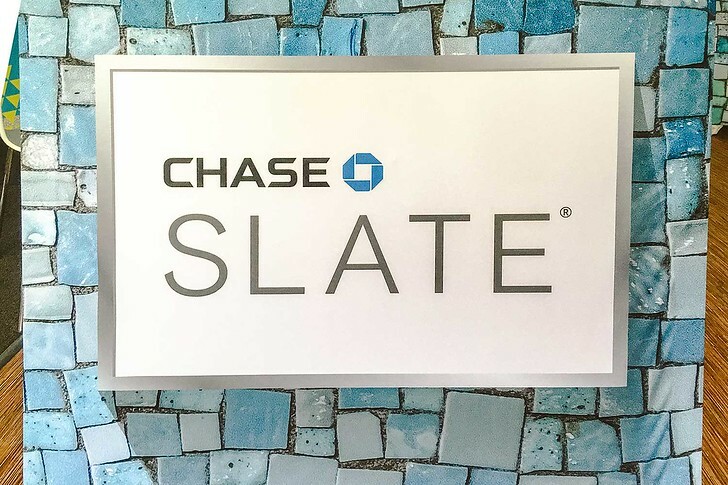 This post is sponsored by Chase Slate. January made me reflect on wellness, another buzzword topic and focus for many New Years resolutions. I went to Equinox a couple of times and tried out some new classes like Flywheel. Nothing intense because I hate how gyms are overcrowded in the first month of the year, but it made me realize how much I miss fitness and I’ve decided to start going more regularly while easing myself back into it. 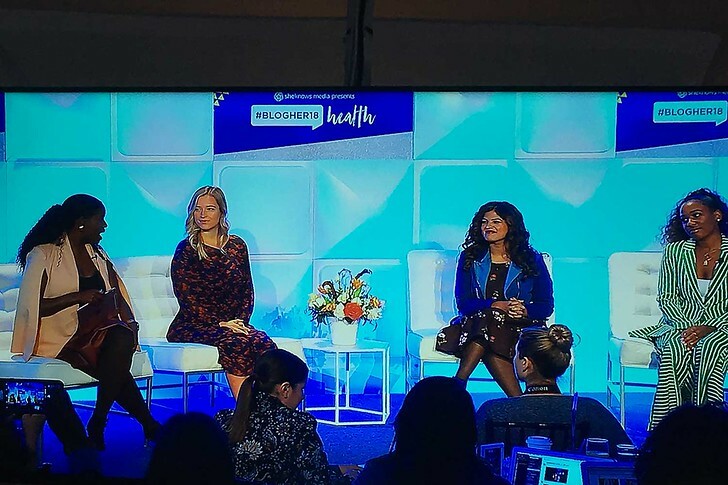 I also attended BlogHer Health, the first health-focused conference I’ve ever been to. 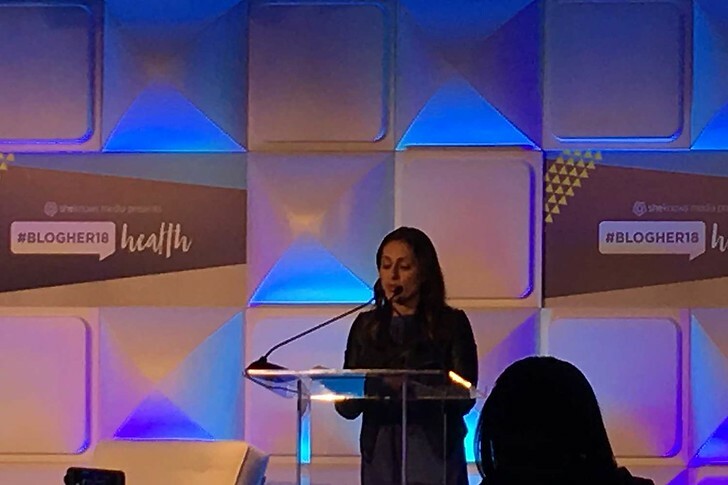 Instead of your typical “trendy” health topics like say, yoga, detoxing and green smoothies, this conference was dedicated to all aspects of health. Mental health, Women’s Health, Holistic / alternative Health, Health in the era of 24/7 Social Media and even Financial Health. It was a refreshing two days of panels, sessions and events and I’m so glad that I went! 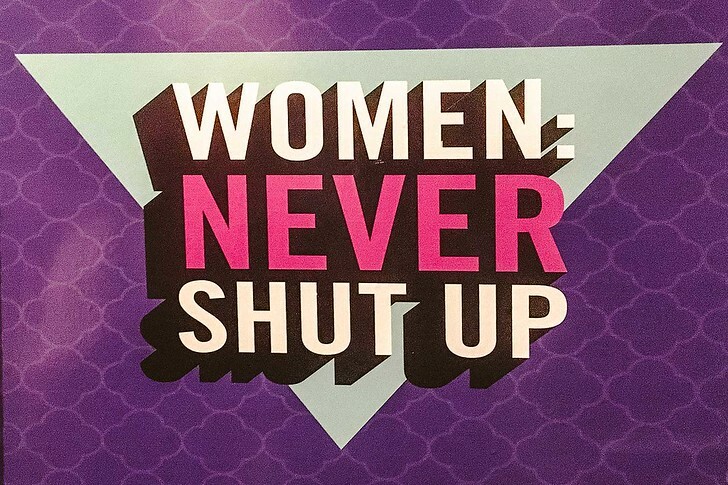 Here’s a recap of BlogHer 18 and some of the most inspiring sessions. One of the most interesting takeaways was the concept of financial wellness and how our finances can impact our well-being. 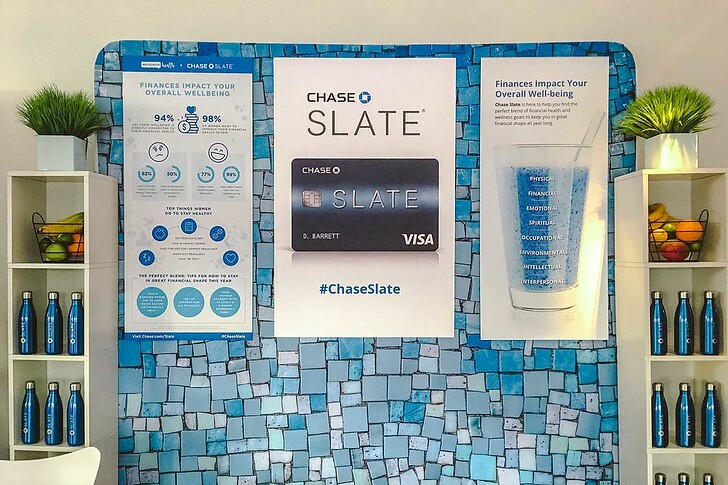 At one booth, Chase Slate set up shop with smoothies and swell bottles and encouraged people to fill out a little survey for insights about our financial health. Do you own credit cards? Have you set up auto-pay to pay off your balance each month? Do you have 3 months of savings set aside for a rainy day? January is notoriously one of the worst months for freelancers, while Q4 is abnormally high. I’ve learned over the past year to safeguard my earnings, to spend frugally and budget wisely. Unfortunately in the creative industry, it’s all too common to be on the short stick of delayed payments, non payments and reneged contracts… and nothing puts me in a foul mood like worrying about whether I can pay my bills for the month. If concerns about your finances are weighing you down too, you’re not alone. Over 94% of women said their well being is directly connected to their financial health. 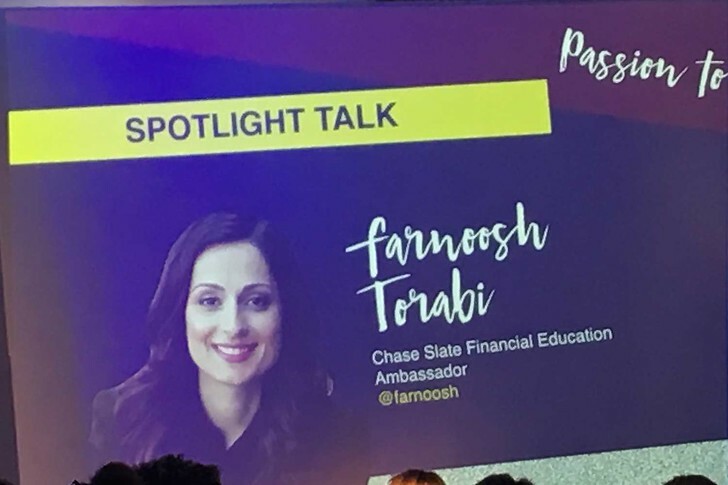 Because finance is an important topic that’s rarely discussed, I wanted to share some insights I learned from the conference. Just like a BMI gives an indication of your physical health, your credit score is a proxy for your financial health. Base FICO® Scores have a 300–850 score range. The higher the score, the lower the risk. A higher credit score impacts your day to day life in so many ways – from renting an apartment, to buying a home, to getting a loan, buying a car, start a business etc. By putting in the effort to manage your credit health you can make savvy financial decisions. Individuals receive a FICO® Score from each of the three credit bureaus: Equifax, TransUnion and Experian. Each FICO® Score is based off of information the credit bureau keeps on file about you. How do you know your score? We are all entitled to one free credit report pull per year from each of these 3 credit bureaus but honestly, knowing your score ONCE a year is not enough. You want to get in the habit of monitoring it MONTHLY and one of the free ways to do so is to have a credit card that provides you your score as a benefit. It’s a layering process so start small with mini goals and reward yourself along the way, so you won’t get discouraged! 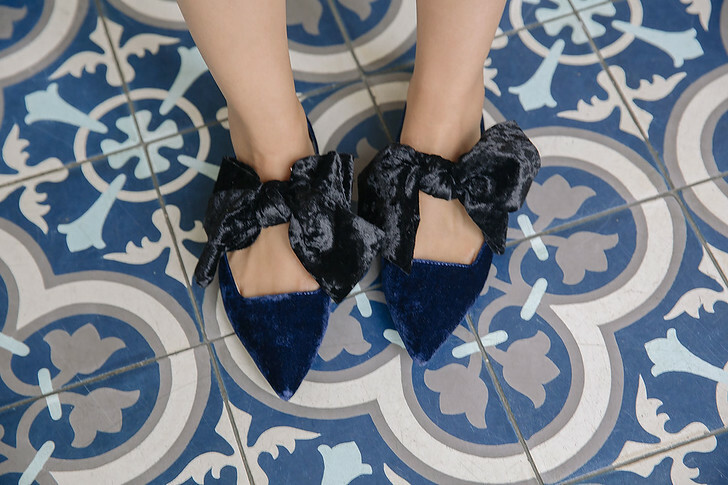 If you hit your savings target for the month, do something fun and treat yourself with the small bit of savings, if it will keep you on the right path. At one point, I had over 15 credit cards and my credit score was at an all time high. Credit cards often receive a stigma but if you know the factors that impact your credit score, you can use credit cards as a tool to improve your financial health. One card I recommend, if you’re dipping your toe into the credit card pool, is the Chase Slate card. A huge draw of the card is that the dashboard continually monitors your credit and displays your FICO® Score each month – with a graphical analysis of your 12-month score history. The Chase Slate card offers this as its primary benefit. Right in your dashboard when you login, Chase shows the top positive and negative factors which impact your score and provides a summary of your credit bureau information. Knowledge is power so you absolutely want to know what your score is and how your score is changing! I am definitely trying to be financially sound. It is not always easy to get there but we are working on it and every time I can put in even a dollar into savings I feel accomplished.